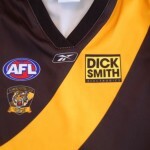 The Tigers played an exhilirating style of football last weekend , to soundly defeat the Hawks . Tigers fans loyalty was rewarded when their beloved team posted a victory . Jack Riewoldt kicked 6 goals in an impressive display .The Saints fans were similiarily rewarded on Saturday night , at the Dome , when they witnessed their team defeat the Swans . Their spiritual leader , an indefatigable Lenny Hayes , celebrating his 250th Game ,was chaired from the ground . Melbourne's poor playing form continues as they have yet to win a match this season, and were thrashed by the Blues. 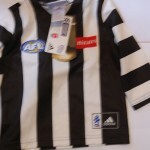 Fans , wearing their football jumpers , jerseys , guernseys attended the games and enjoyed the thrilling spectacle that is AFL Football. 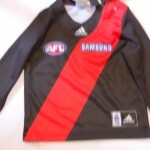 This entry was posted on Tuesday, May 29th, 2012 at 12:48 pm	and is filed under AFL, football jumpers. You can follow any responses to this entry through the RSS 2.0 feed. Both comments and pings are currently closed.